Bemidji State University women’s basketball will honor three senior student-athletes as the program hosts its final home games of the season Feb. 9-10 at BSU Gymnasium. The Beavers open the weekend Friday at 6 p.m. against the Dragons of Minnesota State University Moorhead followed by Senior Day at 4 p.m. against the Wolves of Northern State University. Bemidji State continues the longest series in program history against MSU Moorhead, led by MSUM, 66-39. The Beavers won five of the first nine games of the series that began in 1967. The last BSU win came Dec. 2, 2011, 75-68, in Moorhead, Minn. MSUM has won 12 straight games against BSU, including a 70-47 victory Dec. 9 in the first game of the season series. Sophomore center Sydney Arrington led BSU with 15 points on 6-of-11 shooting from the field while coming off the bench. The Beavers bench outscored the starters, 29-18, as junior forward Emma Rappe came off the bench for nine points. Bemidji State and Northern State meet for the 67th time in the series, led by NSU, 56-10. BSU won four of the first five games that began Jan. 24, 1986. The last Beavers win came Jan. 26, 2013, 64-57, in Bemidji. The Wolves have won the last eight meetings, including a 65-55 win Dec. 8 in the first game of the season series. Freshman guard Brooklyn Bachmann led BSU with 13 points in the first game of the season series, including three 3-pointers, and came one rebound shy of a double-double. 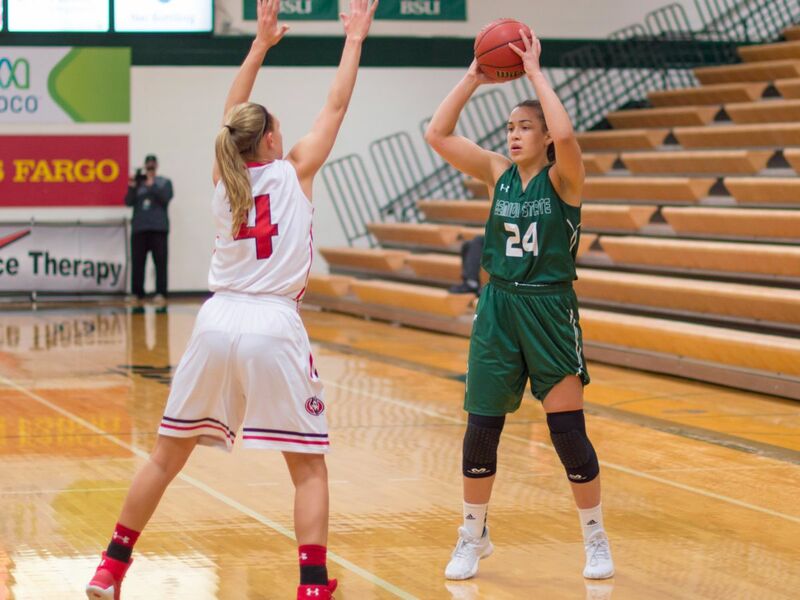 Sophomore guard McKayla Scheuer put in three 3-pointers for nine points while freshman guard Maria Appicelli scored eight points, both coming off the bench.